We are only about 65 days away from the beginning of the upcoming skiing and riding season at Mount Snow. We couldn’t be more excited. We will enjoy Autumn first but lets go over some of the major changes happening at Mount Snow. 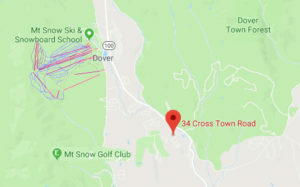 Mount Snow will begin snowmaking operations as soon as cold weather permits. Their new snowmaking system, finished in 2017 is now the most powerful system in the Northeast, thanks to $30 million in upgrades as part of the recently completed West Lake Water Project. 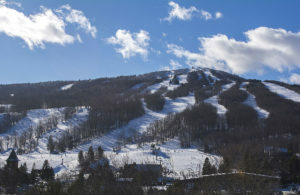 Mount Snow had the most open terrain with quality runs through mid December last year. 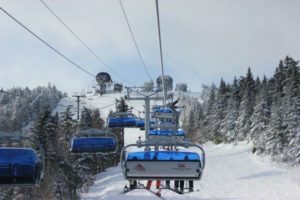 Get your discounted Mount Snow lift tickets here. We know that you can’t compare one season to a next in New england but with 200″ last year it’s hard not to get excited when you think back of some of the huge storms we received in 17/18. Parts of Vermont’s Bennington and Windham Counties had the bragging rights following a nor’easter, after they tallied the most snow of any place in New England. Areas measured roughly three feet of snow though portions had snow that was more than 40 inches deep. It piled up on roofs, buried vehicles, and challenged snowblowers and mountain staff. My opening day prediction is November 18th. You heard it here first!